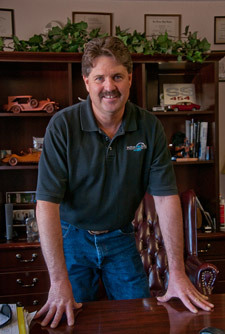 Mike has served the local and surrounding communities in auto repair for over thirty one years. Mike’s passion for working on cars is only surpassed by his commitment to making sure that each collision or mechanical repair job is done to the best of our capabilities. Working on cars for this long has given Mike an edge; he knows how they are put together. Estimating collision repair can be difficult if you don’t know how cars are built. Mike has seen it all and can easily write a complete estimate. Mike’s experience is extensive, he has worked as an ASE certified body repair technician and also as an ASE certified painter. He has attended and completed many I-CAR courses and has completed auto paint certification and color theory classes. When he works with insurance adjusters he can easily explain why vehicles will need requested repairs. It’s hard to argue with good firsthand knowledge from a guy that really knows cars. Mike will make sure that your vehicle is repaired right and back it up with a written guarantee. 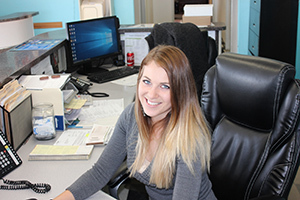 Lauren Sellers is our Receptionist/Office Manager. She will welcome you when you first walk into our shop and be happy to assist you from check in to check out. She is the friendly voice on the other end of the line when you call checking on your vehicle. Lauren will help make the repair process as painless as possible by establishing car rentals, setting up tow trucks to pick-up vehicles and give you updates as they come. She will also be the person calling you for an after the repair inquiry, to see how we performed for you. While checking out, Lauren will walk you through our 24 month 24-thousand-mile nationwide Napa mechanical service work guarantee and for our collision repair customers, she also will go over our outstanding lifetime written guarantee and proper care for your new paint. Lauren has been a great addition to our team since August 2016. She enjoys meeting new people and helping them get their car back on the road. For any info, you may need she is just a call away. Every employee brings something different to a business, in James’ case he brings over 35 years of hands on experience. He started his mechanical repair career at a local full-service gas station while in high school. James is now an ASE Certified Master Technician and has been since 1992. He graduated from the Arizona Automotive Institute in 1988. He has hundreds of hours in aftermarket technology training and has worked in GM dealerships where he was trained on most of their systems. He has also achieved ASE L1 Certification in “Advanced Engine Performance”. James is the father of 4 children and is very aware of the importance of a safe vehicle for you and your family. James understands the new computer-controlled vehicles like no one else. His ability to diagnose and find a drivability problem is impressive. James’ vast knowledge and experience has made him an excellent addition to our staff. We feel very lucky to employ him and we know you will appreciate his expertise and knowledge when he is working on your vehicle. Cody Dear is one fine automotive painter. He started his automotive repair career here at Motor Car Mall back in 2007. He began as a painter’s assistant and has blossomed into a fully certified painter. He only knows one way to prep and paint a vehicle, “The Right Way”. Cody holds two Certifications from Martin Senour Paint, Application and Usage of Vortex Paint System and also Color Theory and Matching. 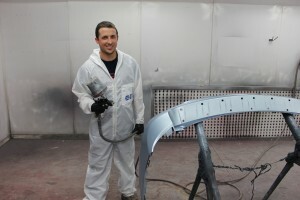 He is also ASE Certified in paint and has attended I-Car training as well. Cody works very hard to achieve the finest product he possibly can. Going the extra mile is no problem for him. Throughout his entire time here at Motor Car Mall Cody has been committed to further his education and has acquired his Bachelor Degree and is currently going for his Master’s Degree in Emergency and Disaster Management. Long story short Cody is one smart guy. That’s definitely the type of person you want working on your vehicle. Mark is one of the finest auto body repair technicians we have ever seen here at Motor Car Mall. He has over 25 years of on the job experience. Mark is an ASE Certified Master Technician in auto body & frame repair. He also holds Platinum Certification by I-CAR, Certified in specialized welding for Aluminum GMA (MIG, WCA03), Steel GMA (MIG, WCA03) and steel sectioning (SPS05). I-CAR is recognized as one of the auto body repair industry’s finest training entities. This means that his body repair and welding methods are recognized to be the best around. Mark’s skill level and expertise are integral to the high standard of quality in collision repair here at Motor Car Mall and we are proud to have had him a part of the team for over 20 years. Jeremy Dear is our hard to recover tow truck guy. He is very adept at getting cars and trucks out of hard recovery situations. He has been trained and certified from Complete Incident Response Training, level A-TDLR. 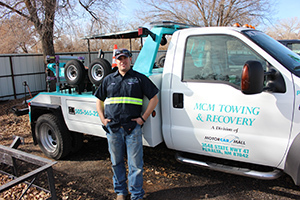 If he shows up to tow your vehicle you can count on him and his experience to get your vehicle out of almost any situation. Jeremy is also a lifelong resident and loves to work in and around his home community. He donates a large amount of his spare time to the local Peralta Fire Department, so you might even see him saving someone’s home from a fire. He is a great person and loves to help people in need. 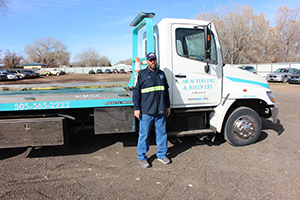 David Pounders has more than 30 years’ experience operating class A & B tow trucks. He also has his CDL license as well. He is a true professional driver. In thirty years David, has towed more cars & trucks than most tow truck operators ever will. When David arrives to save you from a break down or pickup your vehicle from an accident you can be confident that he knows his stuff. He is a life time New Mexico resident and loves working and living in and around his home town community. New to our team as of early 2018, Jesus is a much-valued addition to the mechanical repair department at Motor Car Mall. Jesus was formally trained at Universal Technical Institute where he earned his Associates Degree in Automotive Technology. Having previously been employed at multiple General Motors dealerships, Jesus has unique knowledge acquired from dealer-specific training programs. Rest assured that with Jesus’s hands on your vehicle, it will be diagnosed and repaired properly every time. 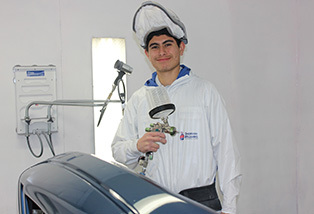 As the newest addition to the MCM family, Alonso brings a fresh face and eager attitude for learning our commitment to excellence in automotive painting. Since coming on board in May of 2018, Alonso has contributed a strong work ethic and has quickly moved his way up from painter’s helper to paint tech. Alonso has a natural talent for paint work and is fast becoming a highly skilled member of the paint department all while doing it with an infectious smile on his face!